As per usual I have joined Sean Lerwill on one of his shoots for Men’s Health and Maximuscle. I have succumbed to the fact that I am a Sean Lerwill groupie. He is pretty awesome though so I’m not ashamed! I started looking through his pics to choose a couple for the post and realised i had been present at all of the gigs above. I am so proud of all that he has achieved. He works hard, the hardest worker I have ever met. He is kind, considerate, loyal, honest and incredibly fair. Definitely a worthy role model if ever one was choosing to follow around another. I have learnt the commando ethos from Sean behaviour as it is ever present. The only one I may help Sean with at time to time is The Cheerfulness in the Face of adversity, he can be a wingey bugger, when he hasn’t eaten. Years ago I heard Barbara Streisand describe having her make up done as being coloured in. It kinda stuck with me. I think this guy might get a lot of colouring in! Not really, I can imagine it took even longer to make it look as real as possible. Colouring in every single vein and pock mark shadow. Incredible! Now if this doesn’t advertise ‘Obsessive Compulsive Cosmetics’ I dont know what could! Incredible work! 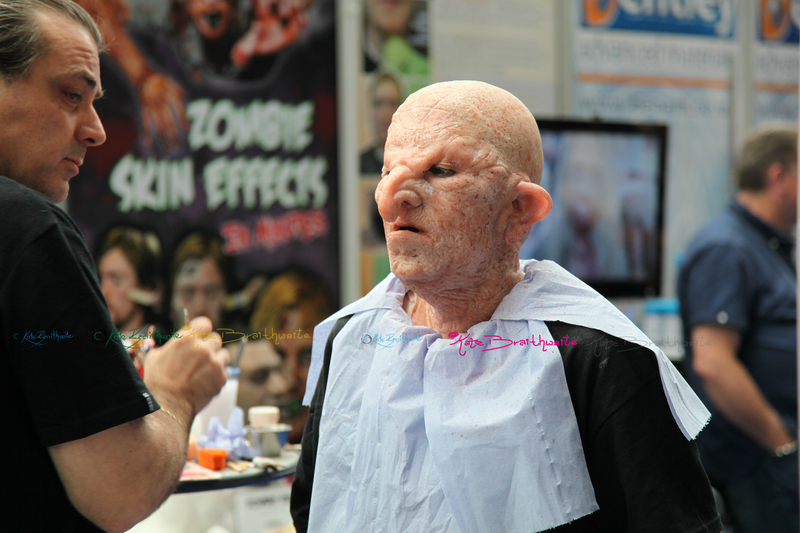 An incredible experience IMATS 2014. Getting the chance to watch some incredible artists at work in front of a permanent crowd. I wonder if Picasso, VanGogh or Matisse would have created their masterpieces under the time and audience pressure these guys did. 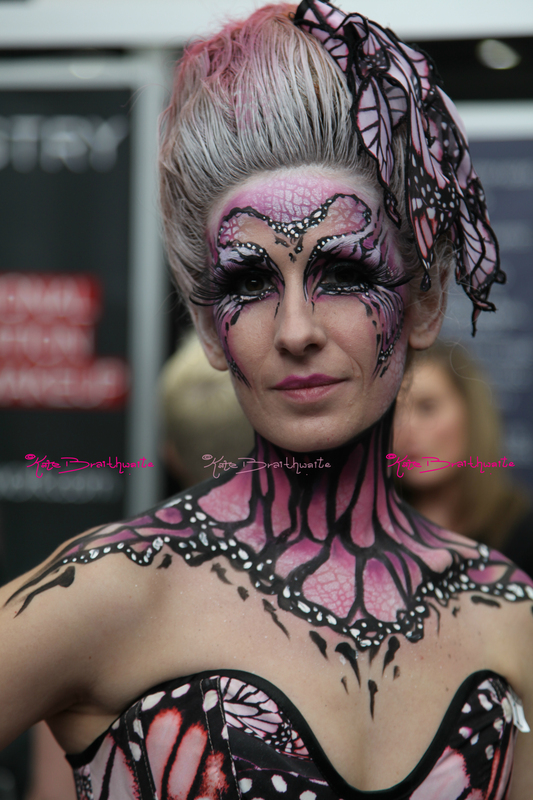 Unfortunately I didn’t get the names of the models or the make up artists so if any of you by any chance come across this page please msg me with your details so I can credit you on this incredible work! Thank you for being so inventive and giving my eyes a feast! More pictures to follow each day! I am a sucker for a beauty shoot. This must be the 100th time I’ve shot for the London Beauty Esthetique, but every time I love it! We always manage to create something different but always as beautiful, elegant and brilliant as the first! Having such a great team behind it all makes these regular reunions so worth it! The Eye Media Studios genius, Bill Gidda was as per usual snapping away, vision after vision, Faye Gorman on styling, with a little help from the beautiful new addition to the team Baby Harrison. Today’s make up artists were Alice and helima. Both very talented and new to the game but beauty visionaries all the same! Oops and a huge THANK YOU to the amazing Soraya. I don’t know how she manages to create hair masterpieces on my limp locks! Looking forward to seeing the pics, but for now just got a couple of behind the scenes pics. Thanks again guys for an awesome day!